The biennial modern art exhibition La Biennale di Venezia opened this week in Venice. 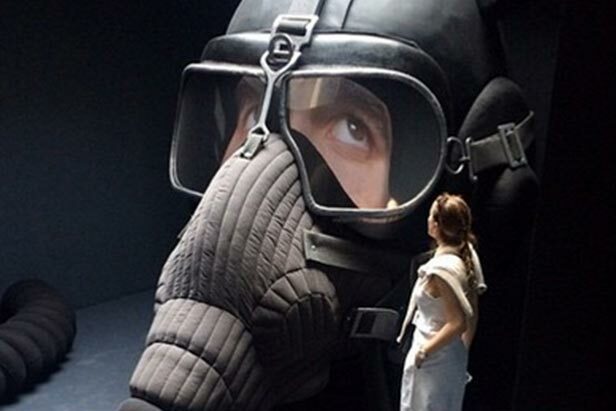 The Russian pavilion is a center of unusual and interesting art. If you happen to visit Italy, don't miss it — closes November 22! On the opening day of the Russian pavilion fashion trendsetter Andrei Bartenev welcomed guests in a futuristic outfit, holding a matreshka doll. That was just the beginning. The previous weekend the whole country had three days off. Rural areas of central Russia were busy gardening and enjoying the warm weather and sun; however, the city of Chelyabinsk (1,770 km from Moscow) saw a lot of snow. A few villages in the region were left without electricity. However, Chelyabinsk residents are known for their good humor – they built a snowman right outside an apartment block. Yes, on May 9. The Moscow Metro is 80 years old, this Friday. It is a big day for the Russian capital. There are exhibitions, celebrations, a Metro train parade and for a month passengers have been enjoying Russian stars announcing the station names and wishing them all the best. These days there are plenty of Metro-related activities. For example, you can visit an exhibition about Moscow city transport history, or ride a retro Metro train with passengers straight from 1952. We’ve compiled a list of 15 fun things to do in the Moscow subway. Russian roof-toppers are the bravest. More than a year ago Vitaliy Raskalov and Vadim Makhorov climbed the Shanghai Tower. This year they climbed a higher building. “The amount of feedback led us to the idea of climbing the world’s newest skyscrapers. Today we’re focused on the new financial center in Shenzhen, China, which is still under construction. Right now it's about 660 meters high and that makes it the second tallest tower in the world, after Burj Khalifa in Dubai.” Watch the video here.It’s had almost 3 million views. Museum Night this year will be held in Russia on Saturday, May 16. Hundreds of museums are getting ready. Pictured are black-swan ballerinas at last year’s exhibition at the State Tretyakov Gallery in Moscow — this year’s will be even better!